George joined the firm in 2016. He is an associate director and his work focuses on accounting, taxation, compliance, fund administration and structuring. He is also acting as the firm’s compliance officer. Prior to joining the firm, George was heading the client accounting, financial reporting and tax compliance departments of a local fiduciary group. George is experienced in the retail sector as he worked as a Chief Financial Officer for the largest food retailer and one of the 20 largest public companies in Cyprus. 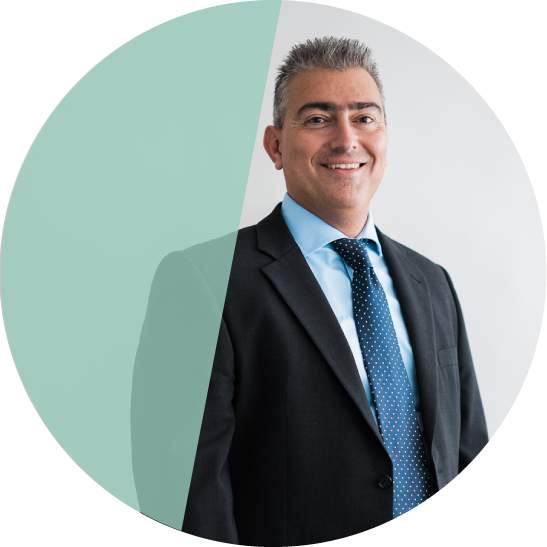 Before repatriating to Cyprus, George gained his practical experience in accountancy at a firm of chartered accountants in London. George obtained a BA in Accounting and Finance from Southbank University in London and an MA in Finance and Banking from the Cyprus International Institute of Management. George is a Fellow of the Association of Chartered Certified Accountants. George believes that success comes through hard work and commitment. If you really want something you need to work hard and never stop no matter how many times you need to stand up again from failure. In the end you will achieve it. There are no shortcuts to success. He is a happy person and a positive thinker and respects each person’s space and values. A remarkable experience was listening live to Luciano Pavarotti in London’s Hyde Park concert ‘Picnic in the Park’ in July 2001. He was joined by guest stars Vanessa Mae, Russell Watson and Charlotte Church. The audience of 55,000 people raised more than £1 million in charity. Thankfully, the English summer weather was kind enough to allow the huge audience to settle down with their picnic baskets and champagne under a warm sky. It was a spectacular afternoon! I particularly like the fact that the people at Nobel Trust are a pleasure to work with and make it enjoyable to come to work every day. There is a perfect blend of culture and challenge. Nobel Trust encourages the continuous development and contribution from all employees. It’s a great environment, good people with shared values.